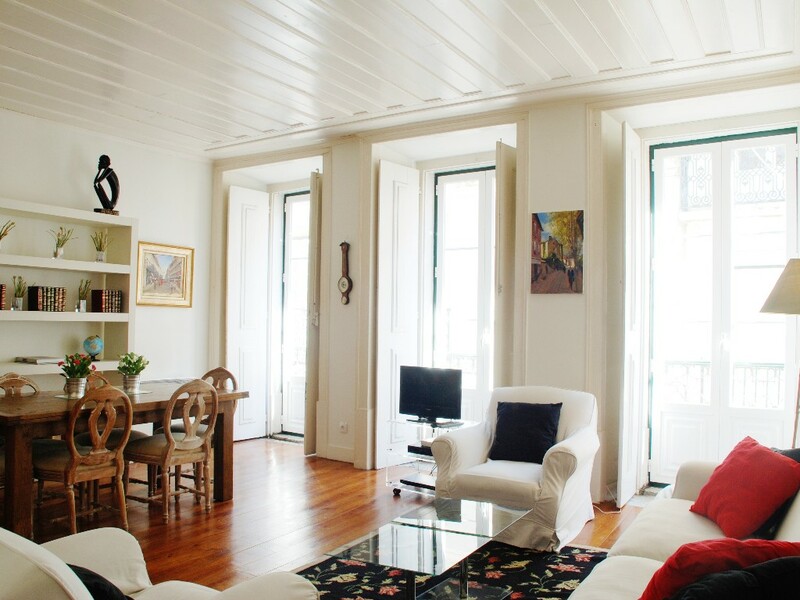 We've found what looks like a lovely flat for our one month stay in Lisbon next January. 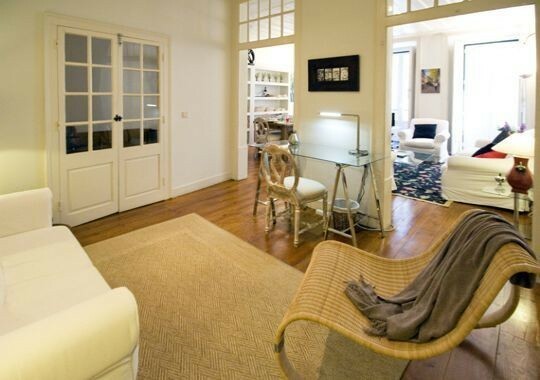 Its in the center of the Bairro Alto a trendy historic area in the center of Lisbon. With two beds and two baths we'll have lots of space for guests but I'm not sure too many friends will be coming to Lisbon in January! 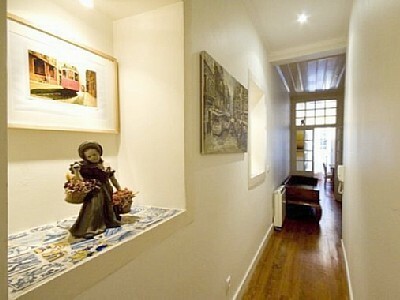 The living room is quite spacious and looks out on the street. 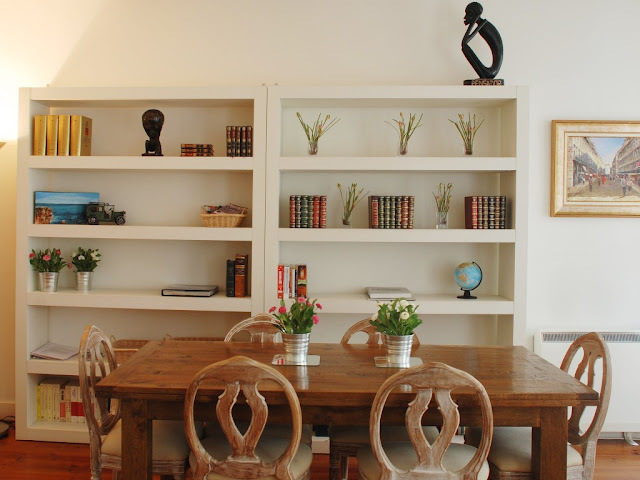 The reviews mention that it's quite a lively area and therefore noisy - but thankfully the bedrooms are in the back. 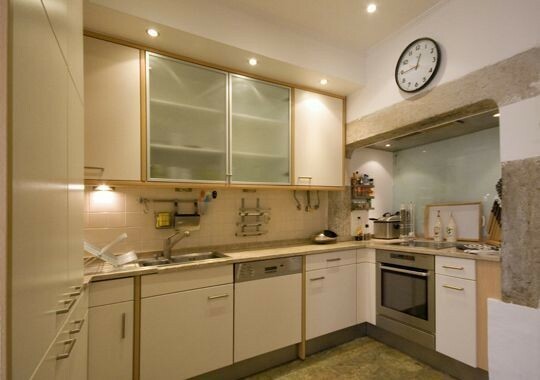 There's a large kitchen which looks fully equipped. The reviews mention that it's quite a lively area and therefore noisy - but thankfully the bedrooms are in the back. 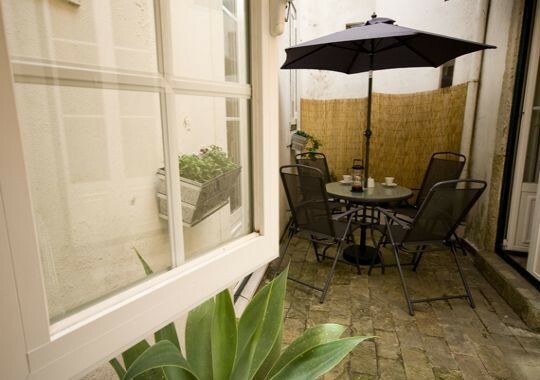 Both the bedrooms and the kitchen open up onto this small patio. There is also a second small living room with a sofa bed. We rented the place through Homeaway.com which is owned by the same people as vrbo.com which we've used for rentals before. Because we're renting for a month off season the rate is much more affordable. I haven't been to Portugal since the 1980s and I think it's probably a different country, we're very much looking forward to January in Lisboa! Listing details would be much appreciated, as we're headed to Lisbon late November 2016. Or here's the link again , enjoy Lisbon it's an amazing place!